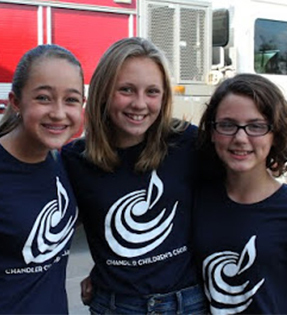 The Chandler Children's Choir invites you to create a lasting musical legacy by making a donation to our music library. Patrons who sponsor a piece of music will have their individual or business name(s) listed in our database and in a program each time we perform the piece of music. Sponsorships never expire, so your contribution to the music library is an investment in the music education of children for many years to come. We'd like to say a very special "thank you" to those who have sponsored songs from our library! Would you like to see your name here? To sponsor a piece, please make your selection and donation through our secure, online Music Library Sponsorship Form. Song sponsorship ranges from $50 to $500. To sponsor a piece, please use our online Music Library Sponsorship Form to select a title and make your donation.